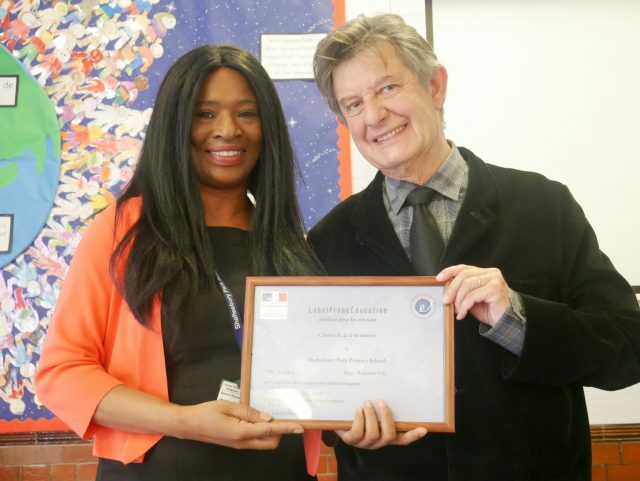 My children’s school, Shaftesbury Park (where I’m also lucky enough to be chair of governors), has become the first school in the country to get LabelFrancEducation accreditation from the French ministry of education. The certificate was formally handed over by the French Ambassador, His Excellency Jean-Pierre Jouyet in a short ceremony this week. The French promotion of their language is, obviously, a diplomatic tool. And a very good one. Listening to the ambassador during the presentation I realised that, despite Brexit1 and my execrable French, I felt a vicarious membership of a wider community. It also highlighted to me that, aside from the technical and economic difficulties that will leave us poorer after Brexit, we will also be culturally impoverished by cutting ourselves off from global interchange. Theresa May seems determined that whatever the cost of Brexit we will stop those foreign types from coming here and making our country better. That is a shame. The international perspective is a big part of the school (it also got its International School Award accreditation from the British Council recently) it offers a unique curriculum mix. The school uses the international primary curriculum to encourage children to not just learn facts, but to make connections and really think about the world. It also offers the enterprise approach which teaches them the ‘soft skills’ they will carry with them for their life. One bit of research showed that children given just a few years training in those skills at a young age were still outperforming their peers on pretty much every measure when they were forty2. But if the curriculum is teaching them to think about their world and the enterprise approach is teaching how they can change their world then French is the gateway that enlarges their world. I know from taking my own children abroad how much it has improved their confidence and there’s something rather nice knowing that even at a young age they don’t see arbitrary borders or different languages as barriers. There’s also something intrinsically hopeful in it. I think the Brexit vote was the result of the EU getting the blame for long-term failings of English (and I think primarily English) national and local government and I am not sure we will find any way out but by paying the consequences of that vote. But if we can create a skilled, thoughtful and outward-looking generation perhaps in the future we will rectify both those failings and our current insular trajectory.